Looking for something more than the typical cluttered, tiny, and less than sanitary hole-in-the wall nail salon? 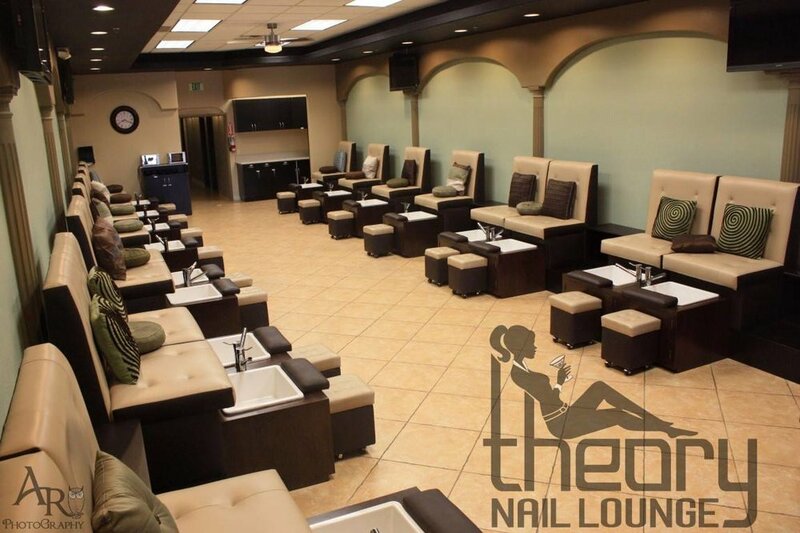 We'll show you how the nail experience should be. No more wondering whose feet were in the tub before you got there. Hit or miss on the quality at your current fly-by-night nail salon? We have some of the most experienced and tenured artists in the industry. Even our newer technicians go through a rigorous vetting and training process before they are able to perform our most complex services. Because you really shouldn't have to choose between great nails and your favorite adult beverage. On top of that, our 21 and Up facility is the perfect legitimate excuse for those that need a quick break from the kiddos. come with a hand soak, nail shaping, thorough cuticle grooming & conditioning, buffing, relaxing arm & hand massage with lotion, hot towel wrap and nail polish. 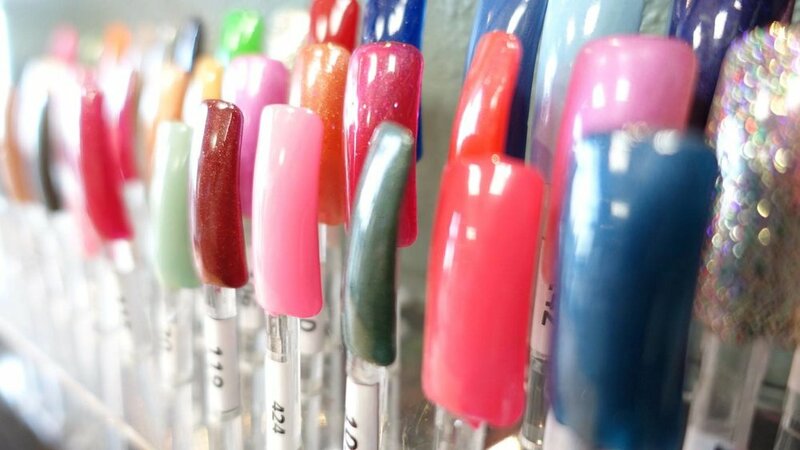 come with a hand soak in warm water, nail shaping, thorough cuticle grooming & conditioning, buffing and gel color. come with a eucalyptus foot soak, nail shaping, thorough cuticle grooming & conditioning, buffing, relaxing leg & foot massage with lotion, hot towel wrap and nail polish. *10$ deposit per guest required for parties of 4 or more. NO PERSONS UNDER 21 ALLOWED: Regrettably, we cannot have any patrons in our facility that are under 21 years of age due to our liquor license, regardless if such patron does not consume alcoholic beverages. For A Group of 3 Guests or More, We Require A $10 NON - REFUNDABLE DEPOSIT PER GUEST. If anyone NO -SHOWs, RESCHEDULEs, CANCELS OR IS 10 MINUTES LATE INTO THE APPOINTMENT, THAT GUEST WILL FORFEIT THE $10 NON REFUNDABLE DEPOSIT REGARDLESS OF ANY CIRCUMSTANCES. Please make sure you understand this before placing your deposit. In paying or leaving your deposit you are thereby agreeing and accepting our policy. We appreciate if you do not give our staffs a hard time in asking us for refund or credit if you are unable to attend/late for any reasons. if you arrive for your appointment on time the $10 Deposit WILL BE APPLIED TOWARD YOUR SERVICE, As it is not an additional charge. Please do not try to circumvent our group deposit requirement by making 3 or more separate individual appointments, the purpose of our deposit policy it is to try and ensure our staff are not left with empty appointments when they could have serviced other guests. WE CREDIT/RETURN YOUR DEPOSIT if you show up so please adhere to the spirit of the policy. CANCELLATIONS: As a courtesy we do not apply any charges for your appointment cancellation if we are notified 24 hours in advance. Please just send us a text 909 257 8855 if you wish to cancel your appointment. HOWEVER, NO-SHOWS or LAST MINUTE CANCELLATIONS leave our technicians with empty appointment times as well as prevent other guests from booking appointments. Please try to reciprocate that courtesy by keeping your appointment or providing notice if you need to cancel. EARLY ARRIVAL: Our Staff appreciates early arrivals, we have a lounge area where you can relax and grab a drink, early arrivals allow us to better serve you and ensure our staff will be on time to their next guests. LATE ARRIVAL: If you are late for your appointment, we will try to accommodate you, however, your service may have to be modified or cancelled in order to honor our appointment time for our next scheduled client. The normal fee will still apply. PLEASE NO OUTSIDE FOOD OR DRINKS ALLOWED. WE RESERVE THE RIGHT TO REFUSE SERVICE TO ANYONE.